The latest bumper issue of our newsletter focuses on events and developments at the Trust since 2016. 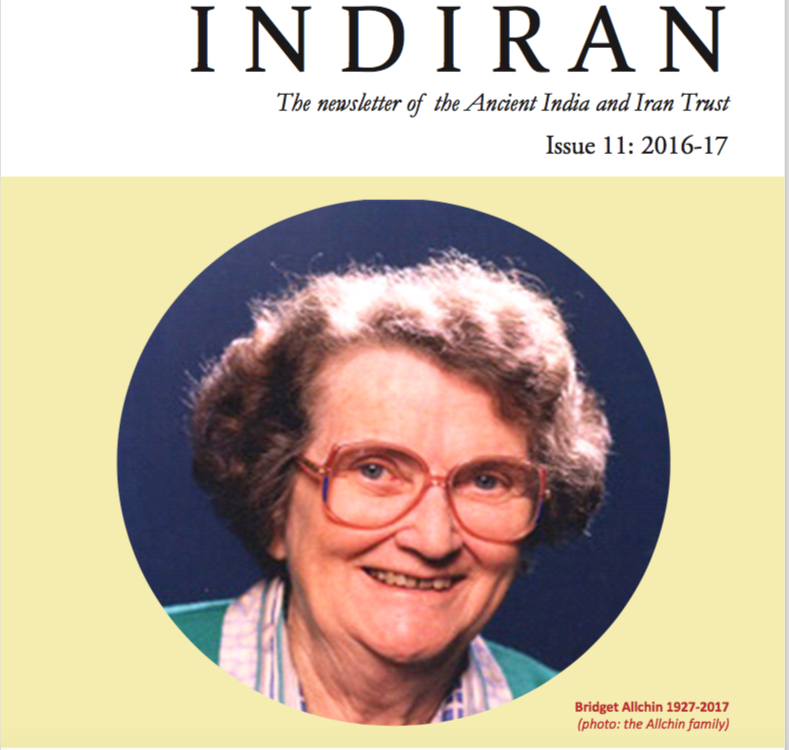 The cover photograph is in remembrance of founding trustee Dr Bridget Allchin, who sadly passed away on 27th June this year. An article on page 3 about Bridget will be followed by a fuller tribute at a later date. There are also articles by many of our trustees on their current research activities as well as several articles by visiting scholars and readers. We hope you enjoy this issue. Please don’t hesitate to let us know if you have any suggestions for news items or stories you would like to see in future editions!